Do you translate contracts into English? I’m looking for a law firm or company in Barcelona to give a pilot seminar on translating contracts into English. Lawyers, administrative staff and in-house translators who translate contracts into English or draft them directly in English. How to use terms like “shall”, “may” and “hereby” to express different categories of contract language (e.g., language of obligation, prohibition and declaration). 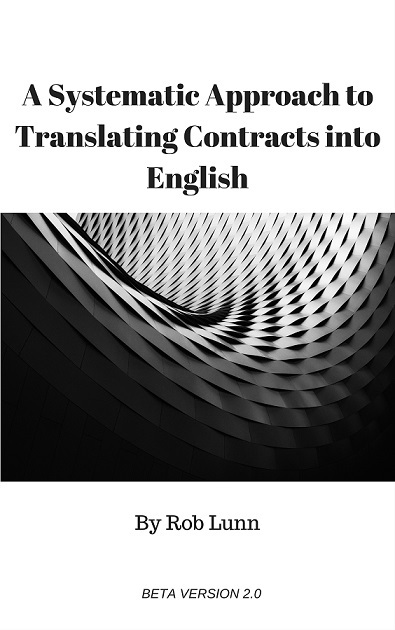 How to translate or draft the start and the end of contracts in English taking into account the difference in structure between Spanish and English contracts. How to apply English drafting style guides to the translations of contracts governed by Spanish law. Free for the first company that registers. 90 minutes to 3 hours. At your offices (only in the province of Barcelona). Where does this seminar come from? This seminar is an adaptation of workshops and webinars I’ve given to translators in recent years. Now I want to offer the same content to lawyers and other employees of law firms in Barcelona. But first I want to give a pilot seminar to test the material and learn the needs of this group. Send me an email to roblunn@legalspaintrans.com or call me on 657 468 393. You can also send me a message through this page.